With it’s highly efficient powertrain, expansive safety array, and many interior technologies, theHonda Civic has become one of the most popular small sedans in the Long Beach, Cerritos, and Newport Beach areas. And it has five different trims to choose from! In this comparison, the Norm Reeves Honda Huntington Beach team is going to help you discover the differences between the 2018 Honda Civic LX and EX trims. One thing the Honda Civic is known for is offering drivers tons of different interior technologies. Even when you choose the base trim, with the Civic LX, you’ll still get a pretty hefty array. The focal point of the LX tech array is its 5-inch touchscreen and 4-speaker audio system. This is where you’ll control apps, connected devices, and music. And connecting your devices is exceptionally easy with options like the auxiliary jack, USB port, and Bluetooth®. The Honda Civic EX tends to build on this array substantially, starting by upgrading both the audio system and touchscreen. In this trim, you’ll have eight speakers and a customizable 7-inch screen to play with. You will also have hands-free texting in addition to hands-free calling, as well as even more mobile accessibility with Android Auto™ and Apple CarPlay™. Between these two trim levels, you’ll actually find the same engine. Each comes with a 2.0L inline 4-cylinder engine. Thanks to streamlined i-VTEC® additions, this powertrain is able to generate 158 HP and 138 lb-ft of torque. Safety is a major priority in both the LX and EX trims. Each comes standard with safety tech such as Vehicle Stability Assist™ and the traction control system. These features can greatly boost your handling when driving on wet or uneven roads. Next, you’ll have a multi-angle rearview camera. The camera in the LX comes with standard guidelines, whereas the EX adds in more detailed dynamic guidelines. The Honda Civic EX also adds in standard Honda LaneWatch™. Just as you might guess from the name, this feature utilizes small cameras to actually monitor the road around you. It can then alert you to potential hazards. Which 2018 Honda Civic Trim Level is Right for You? Both the 2018 Honda Civic LX and the Civic EX have a lot to offer Long Beach, Cerritos, and Newport Beach drivers. To select the right trim for your lifestyle, you might need to get behind the wheel. 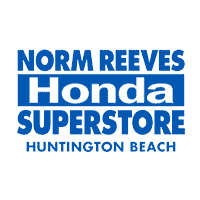 Contact Norm Reeves Honda Huntington Beach today to schedule your test drive!